What Makes a Woman Swoon? 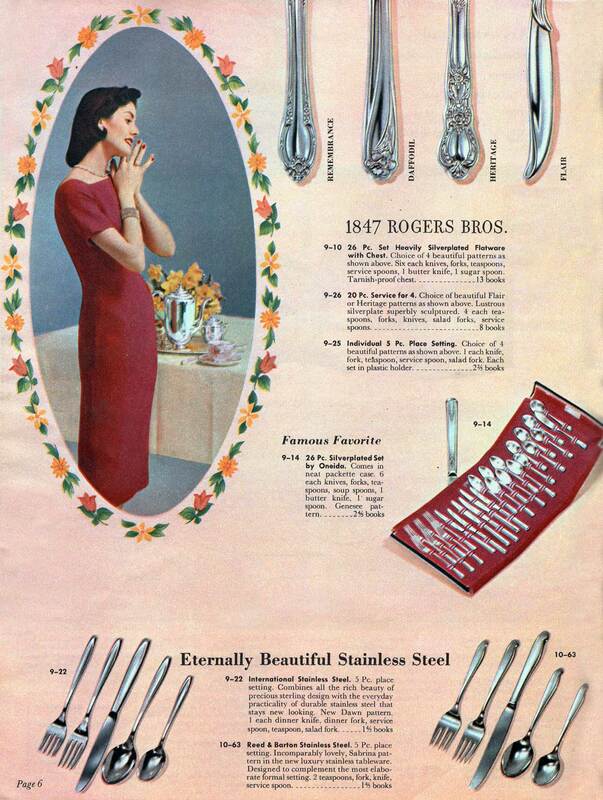 “Heavily Silverplated Flatware”, evidently. Just look at her rapturous gaze! In 1957, if you hadn’t been gifted with fancy forks and knives when you got married, then collecting Top Value stamps would have been a good way to acquire a collection a few pieces at a time. 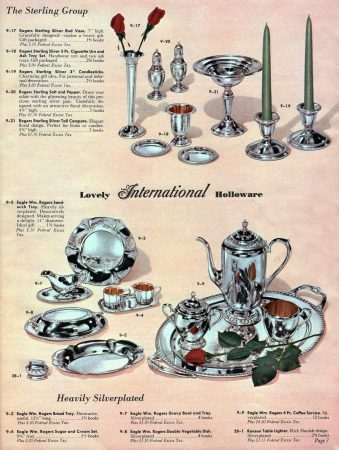 In mid-century America things like sterling silver compotes still mattered – houses still had formal dining rooms, and chances to use the “good silver” were still very much around – like when the boss came to dinner, or the in-laws. 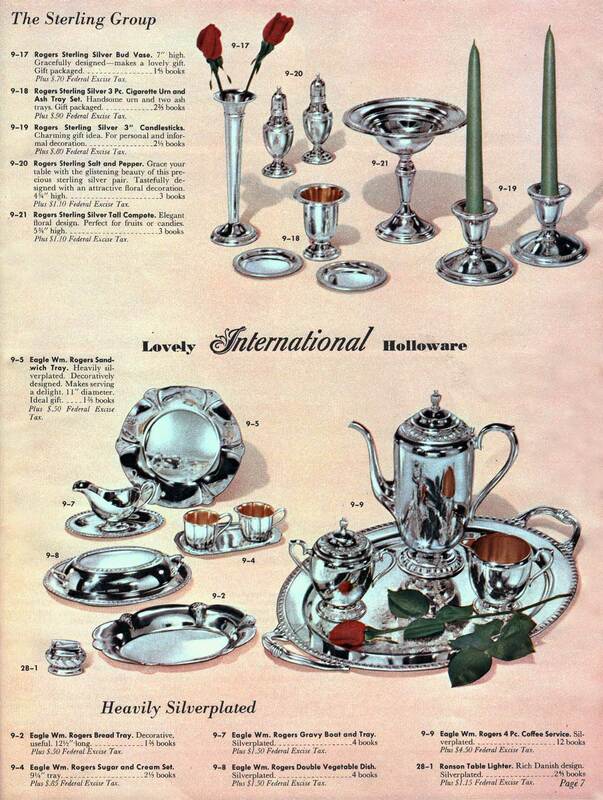 Formal diningware, silverplated gravy boats, coffee services and the like vanished from the scene about 10 years later when the 1960s got groovy, life got casual, and Chinette replaced fine china. Oh, and that Ronson table lighter has got to go, too. Nowadays, my “good silver” is found only at fancy restaurants that I can’t afford to eat at.